First of all, thank all of you who sent us your spaces and stories behind them! We haven't been doing this long and don't claim to be experts, but our hearts were warmed when so many of our readers welcomed us into your home and trusted us. I honestly was not expecting anyone to actually be interested, but when the first one rolled in I teared up haha! Then the next one came in and my jaw just hit the floor every time! In fact there were so many, I narrowed it down to two we could accomplish over the next few months. There was not one space that I saw that didn't have a ton of potential. Some already had some renovations, some had not been touched, and some just needed some TLC. In fact, we had such a variety of spaces we couldn't narrow it down to just one... so we picked TWO spaces! What can be more magical or more time sensitive than a kid's playroom? You're only a kid once and if you had a playroom (or closet in my case) as a child then you know how much of an impression it makes on you. 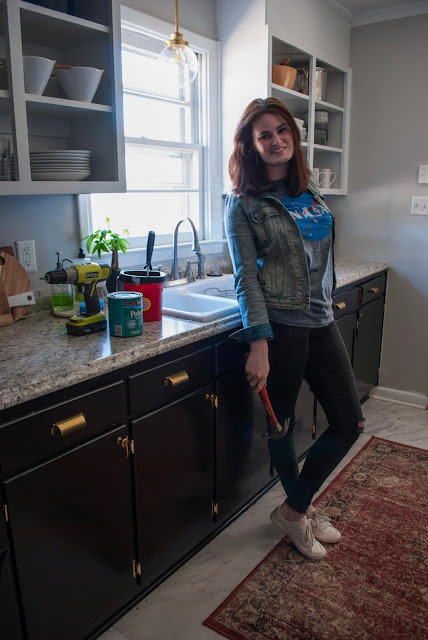 The plans for this space are to add storage options, incorporate her favorite activities, and give her functional space to spend hours and hours of her childhood. A closet it the eiptome of function and when it's not functioning at it's full capactiy it can be frustrating when you have to use it every day. The plans for this space is to add storage options while also giving it a facial. Because when your closet is beautiful and organized, it makes putting together outfits much more enjoyable. I am so pumped to design and plan the spaces over the next few weeks. They are both spaces that have so much potential and offer so much experience to me as I stretch my design style and work with both families. We are so grateful for all of you who sent us your spaces. While we hated narrowing it down to just two, the rest of you - don't give up! We know you have the DIY bug and believe in you. Hopefully if this goes smoothly we will be able to make this an annual thing - because you guys are literally the best. This is going to be amazing! Can't wait to follow along! Ahh thanks girlie! Your's is SO on the list - if you don't get to it before then!